Giovanna Guerrini is associate professor at the Department of Computer Science of the University of Pisa, Italy. She received the MS and PhD degrees in Computer Science from the University of Genova, Italy, in 1993 and 1998, respectively. Before joining the University of Pisa in 2001 she had been an assistant professor at the Department of Computer and Information Sciences of the University of Genova. Her research interests include object-oriented, active, and temporal databases, semi-structured and XML data handling. On these topics she has published more than fifty papers in refereed journals and in proceedings of international conferences and symposia. She has served as Program Committee member of international conferences, like EDBT, ECOOP, ACM OOPSLA, ACM CIKM and of XML-related symposia and workshops, such as the Third International XML Database Symposium XSym ’05, the EDBT ’02 Workshop on XML-Based Data Management, and the OOPSLA ’01 Workshop on Objects, XML, and Databases. 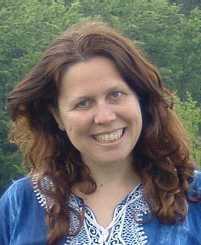 She co-organized the DataX Workshop at EDBT ’04, the ECOOP 2000 Symposium on Objects and Databases, and the 1st ECOOP Workshop on Object-Oriented Databases.